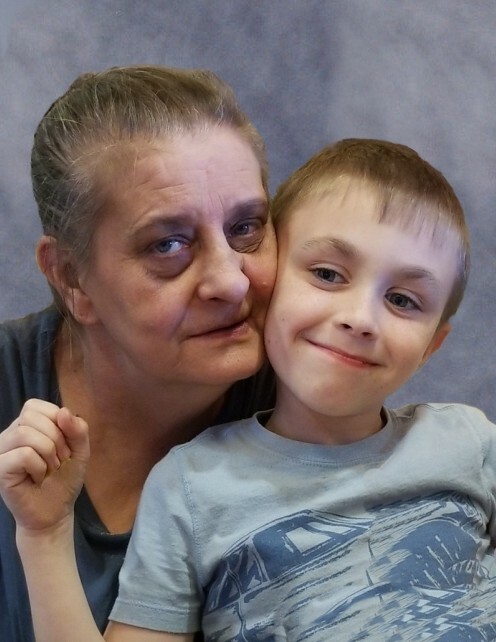 Edna D. Weissbach Murphy age 54 of Frenchburg, KY passed away Sunday, February 10, 2019. Edna was born April 1, 1964 in Brookside, KY. She was the daughter of the late Thomas Edward and Sudie Hall Crusenberry. Edna was preceded in death by six sisters Nora Mae, Easter, Edna Ann, Mary Helen, Catherine Crusenberry and one infant sister, and three brothers Thomas, Arnold Houston and James Crusenberry. Edna is survived by her husband Steven Murphy of Frenchburg, KY; three daughters Charlotte Mcelroy of Wellington,KY; Leigh Ann & Joe Lucas of Evarts,KY; Kara Ann & Tyler Lawson of Frenchburg,KY; one son William “Billy” & Megan Weissbach of Frenchburg,KY. One sister Nora Howard of Waverly, KY. One brother Tom David Crusenberry of Evarts, KY. Eleven grandchildren, Steven Lucas, Logan Lucas, Savannah Lucas, Lacey Lucas, Brittany Mcelroy, Aidan Mcelroy,Braydon Lawson, Joelle Lawson, William Weissbach, Rylan Weissbach and Emmalyn Weissbach. Edna had accepted Jesus Christ as her Savior. Edna enjoyed gardening and canning, taking care of her flowers and cactus. Edna was a loving devoted wife and mother. She loved to spend time with “her angels” her grandchildren. Funeral service will be held 1:00pm Wednesday February 13, 2019 at Menifee Home For Funerals with Bro. Larry Williams officiating. Burial in Egelston Cemetery, Tarr Ridge Rd.,Frenchburg,KY. Visitation after 6:00pm Tuesday at Menifee Home For Funerals, Frenchburg,KY with Randy Halsey Funeral Director. Pallbearers: Steven Lucas, Joe Lucas, Tyler Lawson, William Weissbach, Jeff Murphy and Josh Murphy.